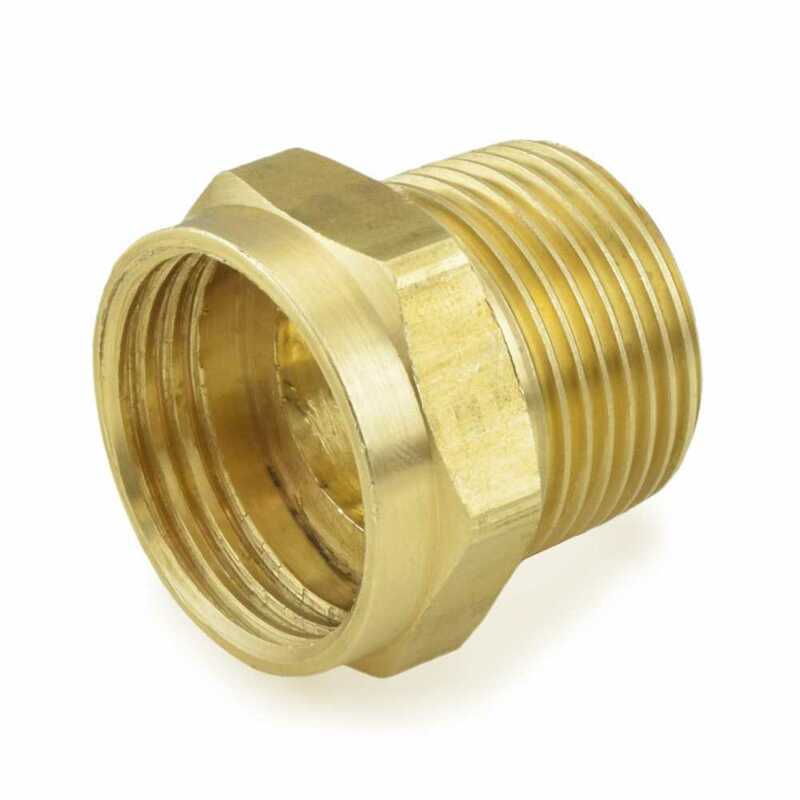 3/4" Female Garden Hose x 3/4" Male Threaded (MIP/MPT) adapter is a fitting which allows to connect 3/4" male garden hose outlet or fitting to a 3/4" female threaded outlet or fitting in a straight line. Made in the USA from lead-free brass and approved for potable water applications. Washer not included. For use with residential and commercial-grade CSA Listed, meets NSF/ANSI 372.